Journalist Rebecca Clarren's debut novel impresses with its moving evocation of a place and a people and a way of life at a pivotal point in our history. Since the 2016 election, there has been a surge of interest in the lives and concerns of rural folks, coinciding perhaps not by chance with disputes over public and private land rights in the West and sometimes violent debates about fracking and oil pipelines. 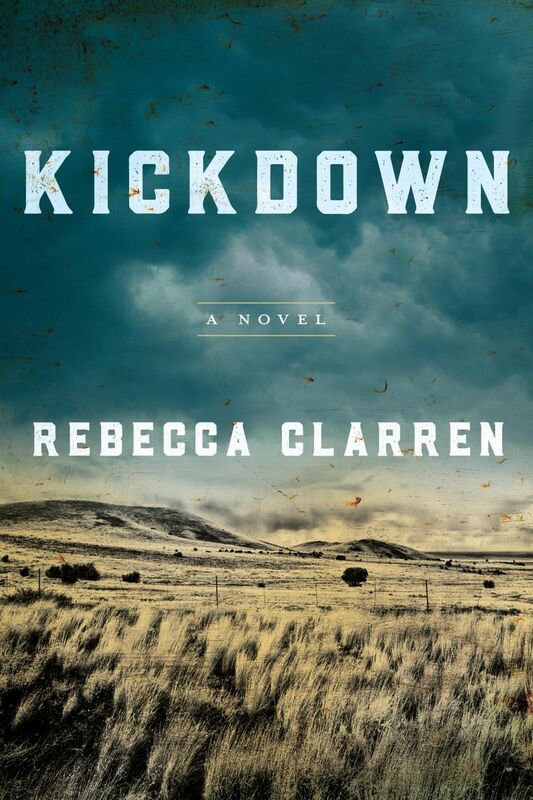 These issues are always in the background of Rebecca Clarren’s impressive debut novel “Kickdown,” which looks at the lives of people in and around the small Colorado town of Silt. The Dunbar sisters, Jackie and Susan, are trying to keep the family cattle ranch afloat following their father’s death. Susan, coming off a failed marriage, several miscarriages and months of caring for their dying father, is immobilized by grief and depression, so Jackie has taken leave from medical school to keep up the hard daily work on the ranch. When Jackie is injured, an old high-school friend, Ray Stark, volunteers to help out. He’s an Iraq War veteran, now a deputy sheriff, but recently on forced leave for pointing his weapon at an oil-patch worker while flashing back to the war. Clarren, a journalist who has written about the rural West for the Nation and Salon, among others, unfolds these complex environmental and economic issues in the context of the people living with their effects. Few of her characters know how to give or get sympathy, how to ask for help, how to speak of their feelings. Ray “counts his dead silently to himself,” and his marriage to Camilla is complicated by his growing but unexpressed attachment to Susan. Tim wants more out of life than his small-town parents could ever have imagined. The Dunbar sisters are haunted by the death of their mother, killed in an automobile accident when they were young: Susan privately carries a child’s groundless guilt, and Jackie wonders “if she had known her mom for longer, maybe she would know how to find a soft place inside herself and live there.” Clarren never uses the term “cowboy,” but that stoic emblem of the American West seems to cast his shadow over them all. In the novel’s closely observed daily round of ranch work — fixing fences, feeding cows, inoculating and branding the new calf crop — the lives and concerns of these rural folks and their ties to the land are slowly, inevitably revealed to us. The landscape of their world is both harsh and beautiful. “Brown melt-water flows fast through the irrigation ditch, coming down off Mount Baldy. The level might hold off a drought if there is one this summer. From this vantage, the fields are lush with the leavings of winter. The alfalfa is coming in green. A new calf runs and bucks; in just days on earth, its balance is already perfect.” “Kickdown,” in its moving evocation of a place and a people and a way of life at a pivotal point in our history, finds that same nearly perfect balance.